Dead Horse Point is a small state park that often experiences high levels of visitation. 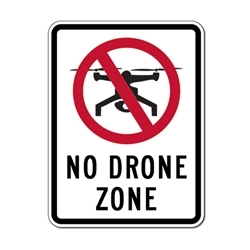 In order to protect peoples’ privacy and enjoyment, along with the well being of wildlife, drones are prohibited from March through October of each year. Between November 1st and February 28th/29th of each year, drone use is permitted by permit only. Permits cost $10 and must be filled out at the visitor center (open daily 9 am-5 pm) before operating. Permits are valid for one calendar day from 9 am of the date of purchase until 9 am of the date after. Additional permits must be acquired for more days. Park staff has the authority to enforce regulations and check permits at any time and violations of the rules can result in a revocation of permit privileges. NOTE: Because of the high use by visitors and concentration of structures, drone operation at the main viewpoint of Dead Horse Point is illegal. Operators must hike at least 200 feet and get away from the developed rim to comply with regulations.